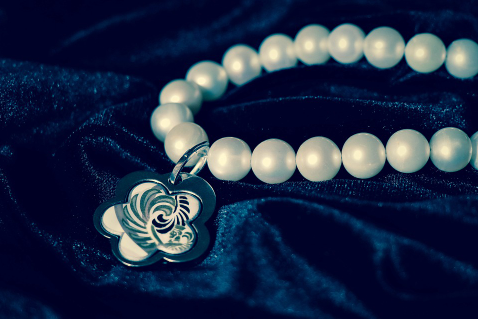 It takes proper attention and care to keep pearl jewelry in good condition. These pieces typically require more gentle handling than other types since the pearls can turn yellow over time. If you own this kind of jewelry, you need to know how to preserve your valuable items. Luckily, there are easy methods that can help you keep your precious pearls looking naturally beautiful and polished through the years. Mix one tablespoon of the liquid hand soap or the mild shampoo with warm water in the small bowl. Stir the mixture well. You may place the pearls on a soft cloth and use the soft makeup brush to apply the shampoo mixture on them. Alternately, you can directly place the items in the soapy mixture and use the soft cloth to rub the dirt off each of the pearls. Make sure to not scrub them as pearls are really delicate. If you used the soft makeup brush in cleaning the pearls, dampen another soft cloth and use it to rinse them off. If you chose to soak the pearls, remove them from the soap mixture after rubbing off the dirt from them. Rinse them under running cold tap water. Then, dry the pearls with a clean piece of cotton fabric or another kind of soft cloth. Using another fresh piece of cloth, dampen it with some nail polish remover. Wipe it on the pearls gently for the nacre to strengthen and whiten. Put your pearls under direct sunlight, maybe by the window sill or anywhere that it will be able to get the direct rays of the sun. Make sure that the place is safe and secure. Keep them there for several hours. Repeat this daily if possible. The sunlight can help your yellowed pearls to turn white again. 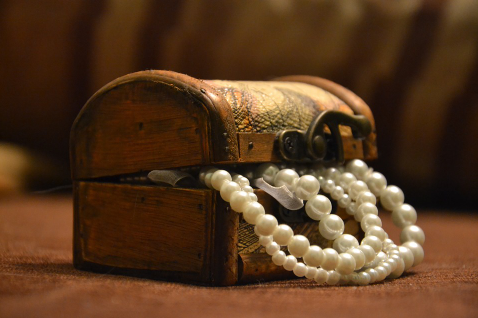 It would be best to keep your pieces of pearl jewelry wrapped in linen cloth after cleaning them. It is also ideal if you keep them stored away from your other jewelry and do not put them in an airtight container. The pearls need some moisture to strengthen them and stay white. Additionally, make sure to wipe your pearl jewelry clean using a soft cloth after you wear them. Note: The procedure mentioned above will essentially help in enhancing the colors of your yellowed pearls, but keep in mind that they may not really go back to their original color. When looking for someplace that provides services for different kinds of jewelry, you would always want it to be reliable and trustworthy. Such a place can guarantee that your valuable items will be handled properly and safely. Lane Mitchell Jewelers is a locally owned and operated business for over 40 years that provides quality services. We also offer jewelry repair in Colorado Springs and we accept many kinds of items, including antique jewelry. Visit our website to know more about the services we offer, or you may contact us here for any questions and inquiries.